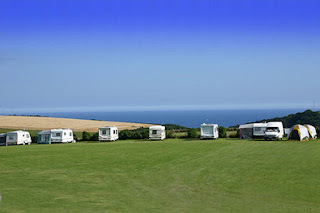 Great Kellow Farm offers caravan and camping facilities just above the beautiful historic village of Polperro in Cornwall. Our camping and caravanning site is set on a working farm and is the perfect place to say for those who are looking for a quiet family friendly campsite. We have plenty of spaces on site for tents, campervans and motorhomes that can have access to pitches both with and without electric hookup. There are also twenty seasonal pitches available. Alternatively, for those who enjoy the homely luxuries you can stay in our static caravan which is available to hire for 10 months of the year. The van has a sea view which can be enjoyed from the comfort of the lounge area or the decking. The van has its own parking space. We provide duvets and pillows but please bring your own linen and towels. 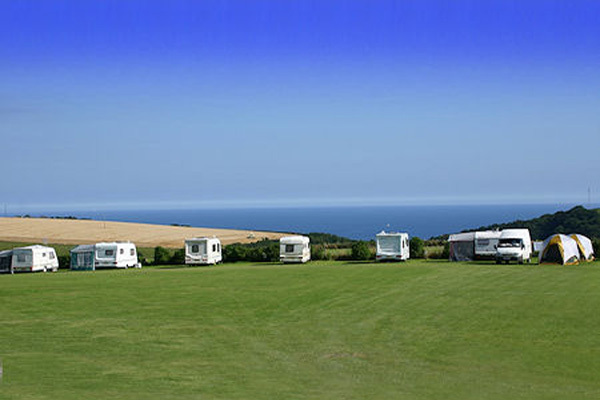 The campsite is in an ideal location, away from the hustle and bustle of the main roads and noise of a town. A ten minute walk and you can reach the village of Polperro, while a short drive will take you to the picturesque villages of Looe, Fowey and Pulruan. It’s an Ideal base for exploring Cornish history, close to National Trust properties and gardens and perfect for family holidays.